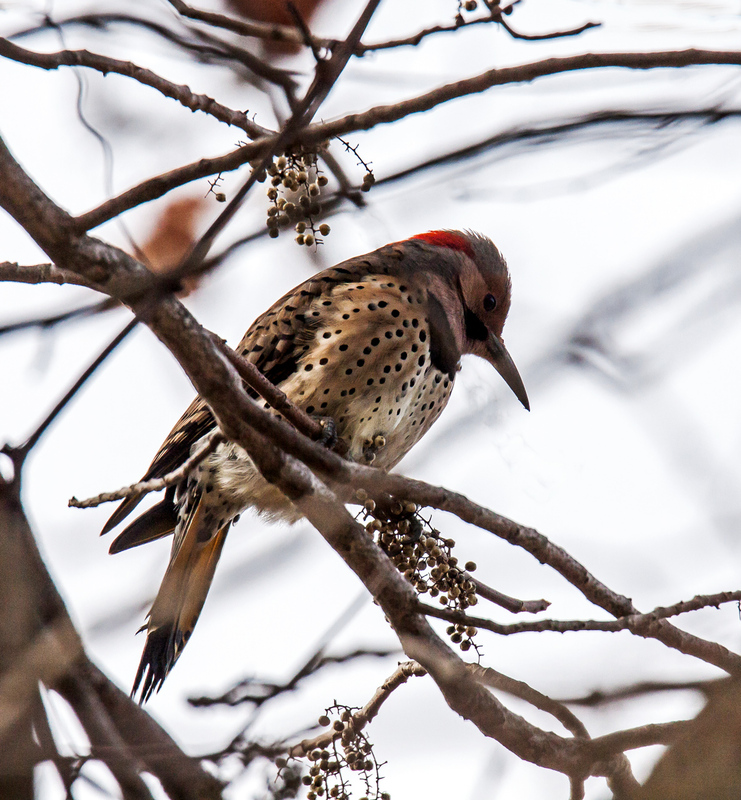 Northern Flickers (Colaptes auratus), the most colorful woodpeckers in our area, prefer to eat ants and other insects. Now that the weather had gotten colder and insects are scarcer, they have switched their diet to include more berries and seeds. 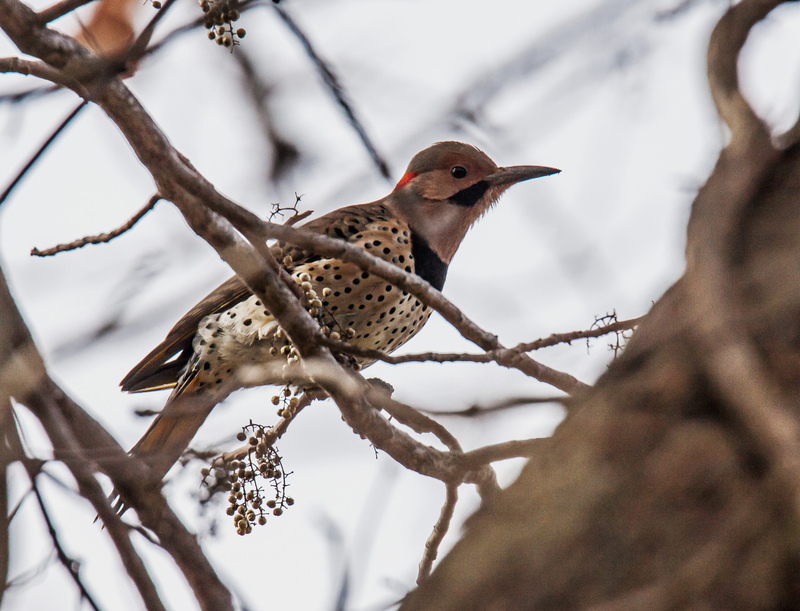 Earlier this week I spotted this male Northern Flicker (males have moustaches and females do not) foraging among the clumps of poison ivy berries in a tree at Occoquan Bay National Wildlife Refuge. The photos give you a sense of the wonderful colors and patterns on the body of this incredible bird. I didn’t get to see the insides of the wings of this particular flicker, but Northern Flickers on the East Coast have beautiful yellow-shafted feathers on the underside of their wings and tails. On the West Coast, Northern Flickers have red moustaches and red shafts on the underside of their wings and tails. Very Nice Mike! One of my favorite birds. Thanks, Reed. I see flickers fairly often, but it is tough for me to get a clear shot of one. Normally they are on the move high in the tree, often buried in the branches.